Photo by David Draper Clark. Nélida Piñon was born in Rio de Janeiro into a Galician family, attended German high school, and later studied at the Pontifícia Universidade Católica in Rio. She has taught at the Federal University in Rio, Harvard, Georgetown, Columbia, Johns Hopkins, and the University of Miami where she holds the Henry King Stanford Distinguished Professorship in the Humanities. She has lectured at various other institutions in Brazil and abroad and has participated in many international congresses. Piñon began her career with the publication of Guia mapa de Gabriel Arcanjo (Guide map of Archangel Gabriel) in 1961. Nine novels, four collections of stories, three volumes of essays, and one collection of speeches have followed: the novels Madeira feita cruz (1963; Wooden cross), Fundador (1969; Founder), A casa da paixão (1972; The house of passion), Tebas do meu coração (1974; Tebas of my heart), A força do destino (1977; The force of destiny), A República dos sonhos (1984; Eng. The Republic of Dreams, 1989), A doce canção de Caetana (1987; Eng. Caetana’s Sweet Song, 1992), A roda do vento (1996; Wind pump), Vozes do deserto (2004; Voices of the desert); the short-story collections Tempo das frutas (1966; Season of fruit), Sala de armas (1973; Weapons room), O calor das coisas (1980; The warmth of things), and O cortejo do Divino (2001; Procession of the Divine); the collections of essays and miscellaneous writings O pão de cada dia (1994; Our daily bread) and Até amanhã, outra vez (1999; Until tomorrow, again); as well as a collection of speeches, O presumível coração de América (2003; The presumed heart of America). Among the honors accorded Piñon’s works are Brazil’s Walmap Prize (1966), Mário de Andrade Prize (1973), and PEN Club Prize (1985); Mexico’s Juan Rulfo Prize (1995); Chile’s Gabriela Mistral Prize (1997); and Spain’s Rosalía de Castro Prize (2002) and Menéndez Pelayo International Prize (2003). In 1989 she became one of only four women ever to serve as a member of the Brazilian Academy of Letters, the most important cultural institution in Brazil. During the academy’s centennial year, she became the first woman to preside over its membership. Piñon is the recipient of numerous honorary doctorates from throughout the world and has been decorated by the governments of Brazil, Chile, Spain, France, Portugal, Poland, and Mexico. Her works have been translated into over twenty languages and included in many anthologies worldwide. 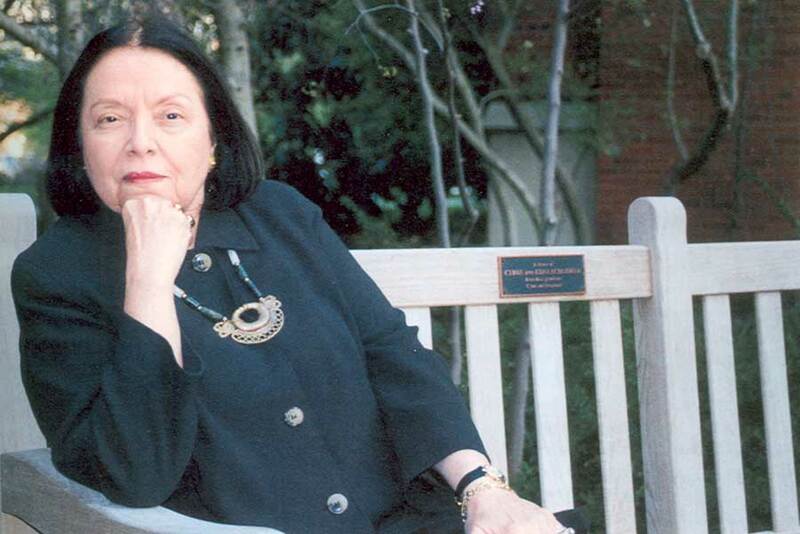 Nélida Piñon’s first visit to the University of Oklahoma was to serve as a member of the 1988 Neustadt International Prize jury, when she nominated countryman João Cabral de Melo Neto, winner of the 1992 Neustadt Prize. More recently she was on campus to help honor the 1995 Puterbaugh fellow, Argentine novelist and short-story writer Luisa Valenzuela.